Julissa: Yes, and you know what? These would work for us, too. In our office. Ryan: So, I got them for the kids, but maybe I’ll just hold on to it for a little while. Right? Courtney: I mean, you know. Julissa: Yes. Okay, you can have this. Yes. Okay. Ryan: So, let’s start with tunes. If you’re in a dorm room, you’re in a library, you’re whatever. Sometimes it can be just too distracting with noise around you. And you don’t wanna spend $300 bucks on some Beats headphones. So, these are by Plantronics. They may not be the greatest, coolest brand. But they make really great headphones. So, this is $200 bucks. They’re noise-cancelling headphones, so they’ll tune out all the noise around you. And if you’re, like, riding your bike or something and you need to be able to hear, there’s an open sound so you can kinda hear the surrounding sounds so you don’t have to worry about that. Kinda nice. And they’re super good sound. Super good. Okay. Those are $200 bucks. I’m gonna move this out of the way because we’ve got some other cool stuff. So, this. We were just talking about this. Julissa: I love this. I love this. Ryan: Look at this thing. This is a Bluetooth keyboard that rolls up, makes it nice and easy to travel with. Boom. Julissa: Courtney, this would come in handy, right? Marianne: You could type so much faster. Ryan: You can take notes in class with that. You can send texts to each other. It’s Bluetooth. It’s super cool. It’s nice and easy. Only downside is, you know, it’s kind of flimsy. So, you’ve gotta have a flat surface. You can’t be driving in the car, set this up on your lap, and like. It just won’t work. Courtney: Oh, I got you. Julissa: Or on your lap or something. But we have planners, so we can. Ryan: $120 bucks, you can get it at Verizon. It’s by LG. It’s called the Rolly Keyboard. Now, check this out. If I go to a dorm room and there’s not a party happening, you can bring it with you. Check this out. Julissa: Okay. All right. Let me see. Ryan: It’s got a little light at the bottom. Julissa: Yes! So you bring your music and your lights. Ryan: So, it’s pretty cool. This is called the Soundcore. You can get this on Amazon. One of the coolest parts is… Let me pause that real quick. One of the coolest parts of this is if you get more than one of these, they’ll sync up. And so you can put like four or five around your dorm room, and you’ll be like the coolest kid on the planet. How cool is that? Ryan: Now see, those are $60 bucks. Now, dorm rooms stink when it comes to power. Julissa: Right. They just stink. Ryan: Yeah. There’s not enough outlets for all your gadgets. They do stink. I get it now! It took me a second. Courtney: It took you a second. Ryan: But anyway, one of the cool parts is this has all kinds of outlets so you can do all kinds of good stuff. So if you got those big chunky things that’s gonna take up all the outlets. It’s got USB. Plus it’s a surge protector, so if you get a surge it’s not gonna fry all your gadgets. And last but not least, you’re gonna run out of power. Ryan: You’re gonna be in a classroom somewhere and you’re not gonna be able to use it. 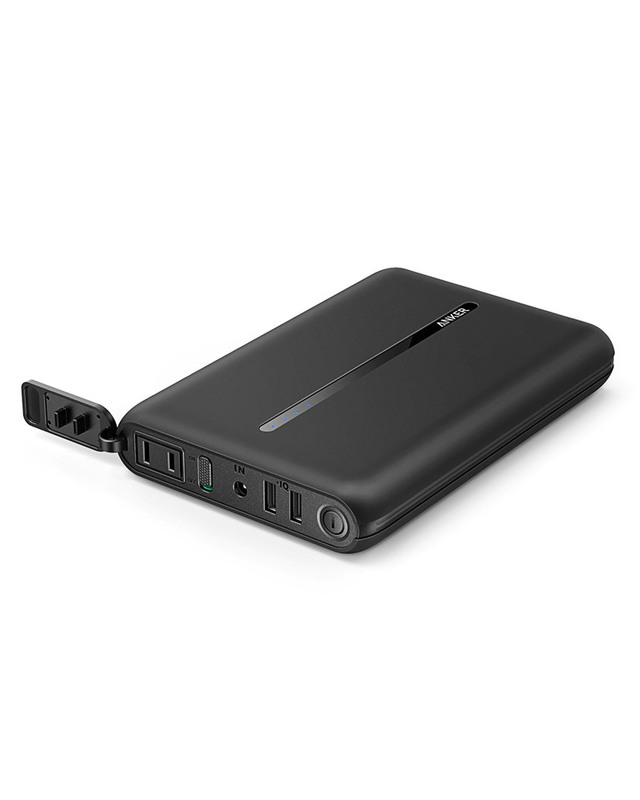 So this is just a normal battery power pack, but it’s got some cool little features. Julissa: Look at this, you guys. Look at this. Ryan: Check this out. Boom. You can actually plug something for reals in there. Julissa: You don’t need to find, like, a coffee shop or something. You could be outside and get some work done. Ryan: And this’ll charge an iPhone, like, 6 Plus or 7 Plus or whatever, for six and a half times. Or an actual MacBook Pro up to one and a half times. Julissa: Get out of here! Ryan: How cool is that? It’s a little bit heavy, but you’re gonna be out there working, playing Frisbee. This is the thing. Julissa: Yeah. I like it. I like it. Ryan, this is why we like bringing you around. Julissa: Yeah, this is why. Ryan: I thought it was the free tech support. I thought that’s what it was. Julissa: That’s why I like you. Courtney: Girl, don’t break the keyboard! Julissa: You can’t take me anywhere. All right, Nerds On Call, they’ve got a couple locations in town and I’m telling you, they are so helpful. How do I know? Because I speak from experience. All right. So, go ahead and you can get their info on our website gooddaysacramento.com. Back over to you. Marianne: That is gonna change a lot of Christmas lists this year. Before your ship your kid off to college, it’s a good idea to kit them out with a few technological essentials. Of course, they’re going to need a laptop or some kind of hybrid tablet for note-taking, research and writing papers – but we’re talking about a few extras geared toward making college life that much easier. Let’s take a look at some essential college tech. One unforeseen stress many new college kids struggle to deal with is sound. College life is packed with a relentless barrage of sound – so much so that it can make concentration and study incredibly wearisome. 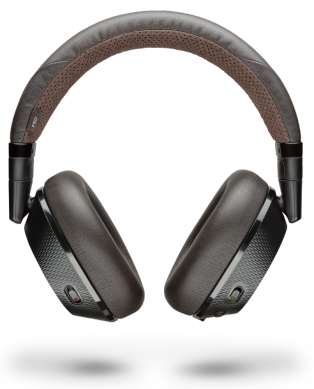 The Plantronics Backbeat Pro 2 is equipped with active noise canceling. You have to try it to fully understand how miraculous it is. You slip the headphones on, activate the noise canceling function and sounds of the outside world just … vanish. All you have to worry about is finding some relaxing music to listen to and you’re good to study up a storm. These sanity-saving devices are wireless and will bless your brain with up to 24 hours peace and quiet on a single charge. If sound is the constant annoying bugbear of college life, then a lack of reliable power is its uglier and slightly less charming cousin. One inescapable reality of studying in college is that there are at least 15 devices to every available outlet. It’s like being stuck in an airport terminal … for at least four years. Giving your college-bound starry-eyed hopeful an Anker Powercore AC is the equivalent of giving them their own personal power outlet that they can take anywhere. Unlike standard power packs, in addition to regular USB, these wondrous devices sport a full-power 90W AC port, capable of charging pretty much anything. This simple device almost triples the available battery life of a MacBook, offering ample power for a full day’s computing. We’re not going to say this device is a game-changer … actually, we are. The Anker Powercore is a total game-changer. Portable computing devices are—well—portable. They’re small so that it’s easier to lug them around. While this is great for providing the convenience of a computer in your back pocket, the whole appeal of miniaturization falls apart when it comes to keyboards. A big, easy-to-use keyboard can make all the difference when you’re pulling another all-nighter at the library. 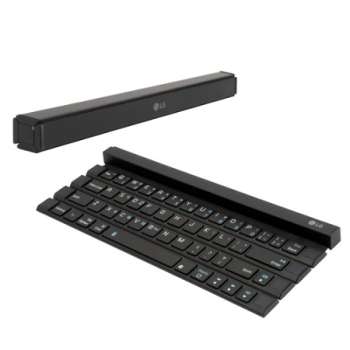 The LG Rolly Keyboard is a full-sized keyboard which can roll up into a neat secure bundle and be tossed into a backpack. The keys are built for heavy typing and its bluetooth connectivity means you can pair it up with anything—a smartphone, and iPad, you name it. Let’s talk about dorm-life. Your pride and joy may not admit it, but sooner or later there will be partying. Instead of denying the inevitable, why not help them party in style (and rack up a few cool-parent points in the process) with some decent speakers? 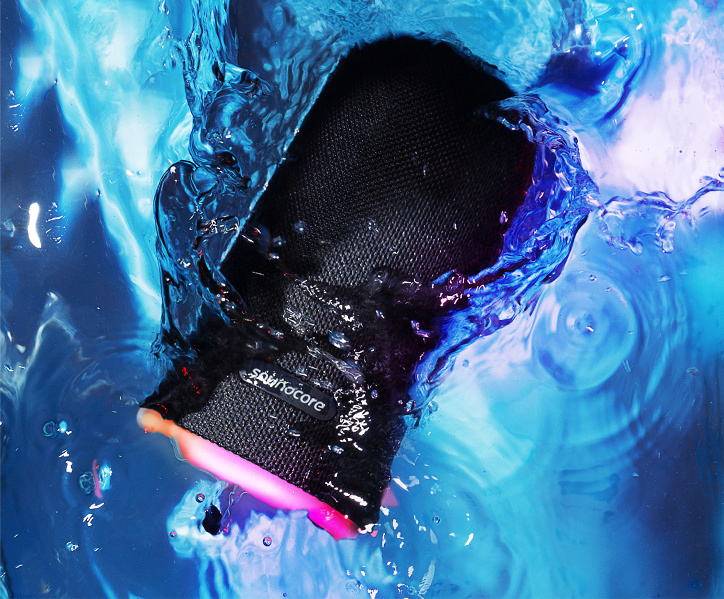 Soundcore Flare speakers are waterproof, completely wireless and are designed to deliver optimal acoustic awesomeness (AOA). They’re also built tough enough to withstand pool parties, prolonged vigorous dance shindigs and life in the bottom of a backpack. I guess it could also be useful for listening to reflective study music… but mainly the party thing. Remember the whole challenge of power outlets we discussed earlier? This is as much an issue in a dorm room as it is in the library or lecture hall. 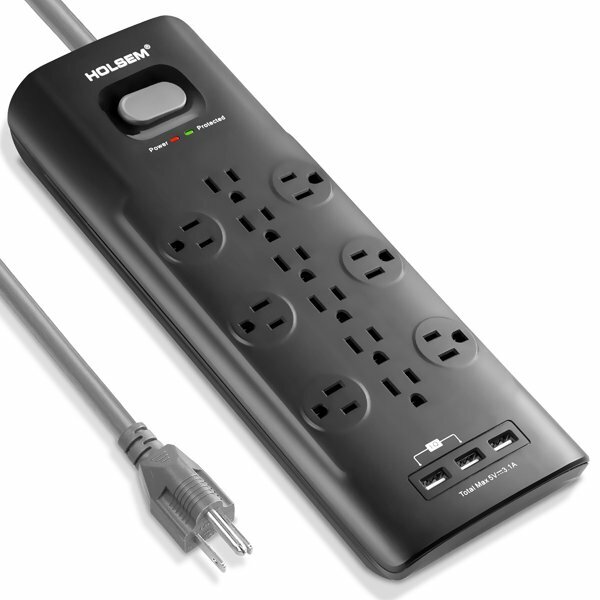 The HOLSEM Surge Protector Power Strip does precisely two things really, really well. First up, it provides a whopping twelve outlets and three USB charging points. This power strip is designed with laptops in mind, with the outlets spaced to accommodate large charging bricks. The second and equally important function of the HOLSEM Power Strip is to devices from surges. 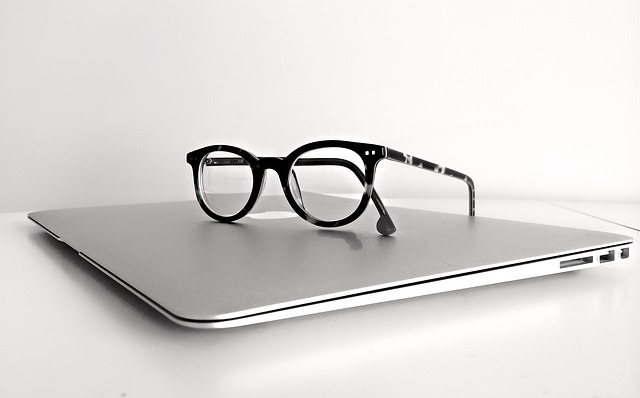 One brownout or power surge is enough to fry the sensitive electronics of a laptop or tablet and this can be righteously disastrous when deadlines constantly beckon. The Power Strip makes power and power surge problems go away. These devices are well-designed, reliable and built to last. Better yet, each can make a big difference to studying and college life. We hope your student enjoys them and stays out of trouble!